At an event in Bangalore, Yamaha has launched the 2019 iteration of the FZ called the FZ v3 with ABS. 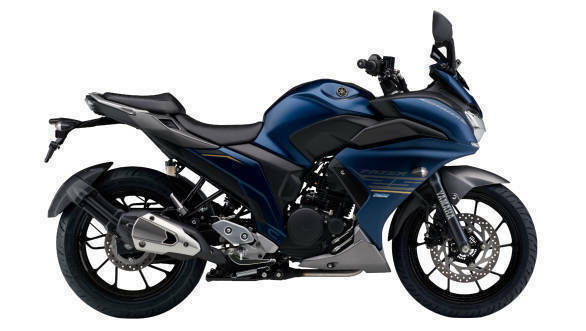 In addition to that, Yamaha has also launched the 2019 versions of the FZ25 with ABS. Priced at Rs 1.33 lakh, the Yamaha FZ25 gets similar styling and design revisions as the new FZ. On the other hand, the more premium faired version, the Fazer 25 has been priced at Rs 1.43 lakh, ex-showroom. Both the motorcycles will be offered with dual-channel ABS as standard. The deliveries of these motorcycles will start across India from next month onwards. 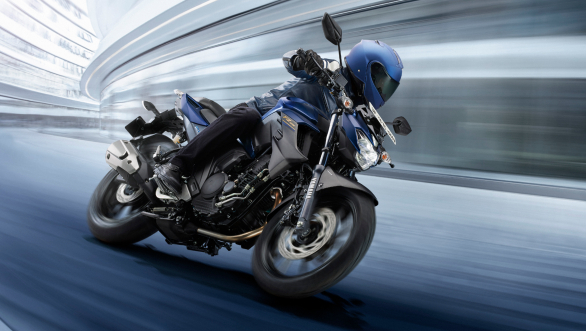 Yamaha has improved the touring potential of the 2019 FZ25 by giving wider seats with better cushioning and a revised ergonomics to offer a more comfortable riding position. The LED lights have been updated and so are the tyres which come with a wider profile now. Similar to the 2019 Yamaha FZ v3, the instrumentation is all digital. This one too gets a raised handle bar, LED lights among other updates. The motorcycle is offered with 41m telescopic front and a monoshock with pre-load adjustable in the rear. The wheel size on the 2019 update remains identical to the previous. The single-cylinder 250cc engine in the FZ25 and the Fazer 25 make 20.9PS at 8,000rpm and generate a torque of 20Nm at a peak engine speed of 6,000rpm. Both the motorcycles get a 5-speed gearbox. The new colour options that are on offer on these two motorcycles include dark matte blue, matte black, cyan blue and metallic black.